Isn’t it amazing that we live in an era where you can find just about any type of education online? Between blogs, videos, courses, and podcasts – you can piece together any type of education you need! Over the past couple of years, I have become an avid podcast listener. When I am working out, folding laundry, or doing the dishes – I am generally soaking in some of my favorite episodes. 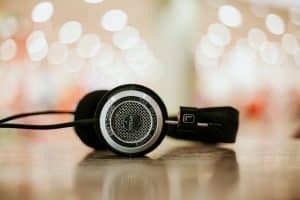 Today I wanted to share some podcasts with you that are FANTASTIC for growing your online business! 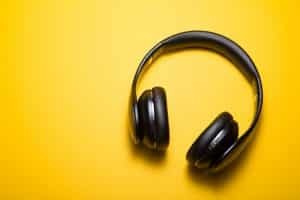 If you are looking for tips, tricks, and plenty of inspiration – these podcasts can set you up for success. 1. Online Marketing Made Easy with Amy Porterfield. This was one of the very first business podcasts that I started listening to years ago, and I still listen every week! Amy is great at breaking down the key aspects of a successful online business and what it takes to build your own. A few years ago, I heard Donald Miller speak at a conference about the StoryBrand framework for business, and I was hooked! He walks through how to use the power of story (spoiler = this is the way your brain is wired to work!) to market your business well. Prefer this info in a book? Donald Miller’s book, “Building a StoryBrand” is excellent! 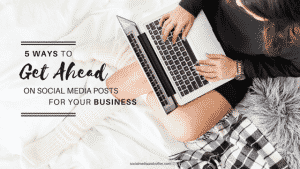 Ruth Soukup is a powerhouse in the world of blogging. She runs a 7 figure blog and teaches others to do the same through her course, Elite Blog Academy. In this podcast, she talks about blog tips, online business advice, as well as real-life tips. Michael Stelzner is the founder of Social Media Examiner, one of the top social media blogs out there. He’s known for current, cutting-edge advice in the social media industry. 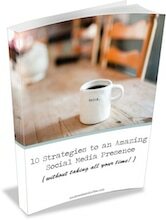 If social media plays a big part in your online business (and it should!) this is a podcast you’ll want to check out. Christ Wright is the master of teaching women to start up their businesses and make money! She breaks business advice down into very simple and actionable steps. Her simple to follow steps are also laid out in her book, “Business Boutique.” Check it out! Kim Anderson gives bloggers advice and encouragement for the process. 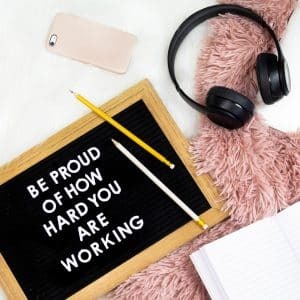 If you are a blogger trying to achieve your income goals, this bite-sized podcast is just the encouragement you need. Stu McLaren is an expert in all things marketing and membership sites. This podcast gives behind the scenes looks at marketing tactics that have worked for him and his students. Rachel Hollis, who is known for building her empire of a company “with a high school diploma and a Google search bar,” breaks down tactics and advice for your business and life. Jenna Kutcher breaks down advice for building your online business and designing the life you want. Jenna’s easy-going, honest approach makes this one of my personal favorite podcasts! Rick Mulready is the expert at all things “paid ads” on Facebook, Youtube and Google. He goes into the nitty gritty of Facebook ads and teaches you all you need to know. Jennifer Allwood helps creative business owners build online businesses. She shares practical tips each week for creating your online space, working smarter, and making more money. This was a more recent discovery of mine, but after I listened to one episode, I was hooked! She breaks down mindsets you may have that are holding you back, and how to work through them in a healthy way. Pat Flynn, who is known for the Smart Passive Income blog, shares his secrets for building your own passive income online. 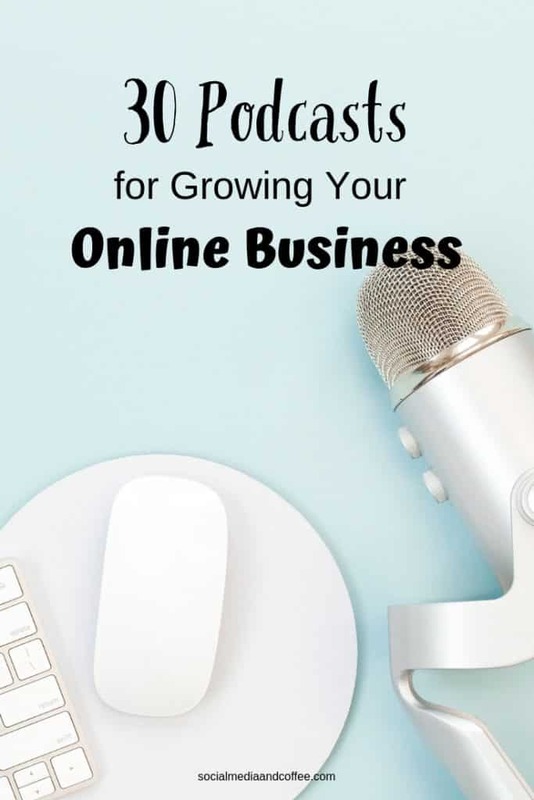 Whether you are building an online business or blog, this podcast can give you some tips and tricks to use! This podcast features interviews with mom entrepreneurs who have built successful online businesses. Bloggers, Etsy shop owners, designers, and any type of aspiring entrepreneur will be inspired by this podcast. After hearing Jill and Josh Stanton interviewed on a different podcast, I knew I needed to hear more of them! Their podcast is full of advice to take you from your “regular” job to a life of an online business. 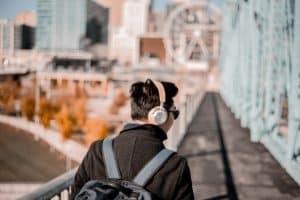 If you are an Etsy shop owner looking to connect and grow your business, this unique podcast is just the thing you need! Learn the ins and outs of online business on this podcast! They share strategies and marketing tips to take your online business to the next level. If you are running an online business that also sells physical products, this is the podcast for you. Tips and tricks to get those products sold! If you are looking for the motivation and tools to help you achieve your goals, take a listen to this podcast. Benny Hsu is the master at helping people get “unstuck” and start living again! If ecommerce is a part of your business, this podcast is worth a listen. It features tips and tricks from expert sellers. Nathalie Lussier is a digital strategist who started making websites when she was only 12 years old. She shares quick advice on topics that help you to reimagine your life as an online business owner! This podcast features interviews and advice from online entrepreneurs to help take your online business up a notch! The tagline for this podcast says it all: “Start and grow your business, and still make time for your family.” If you are growing a business but don’t want to sacrifice time at home, this is a podcast to check out! Sara Tasker teaches you how she built her 6 figure business. She talks about social media, Instagram, blogging and more. This podcast teaches the tricks to building an online business that sells educational products. If you are looking to build a thriving educational or training business, this is the podcast for you. Leslie Samuel shares tips from his vast blogging experience. And it’s proof that you can blog in ANY area and find success! His Biology blog landed him a job as a University Professor. Give this podcast a listen and see what doors are opened for you! Learn how to quit your 9 to 5 job, and join the world of working right from your laptop! This is a brand new blog by blogging coach Cassie Scroggins. She’s an expert at breaking down blogging tips step-by-step. Give this podcast a listen and let her help you take your blog to the next level! This podcast simply helps you to build a better blog! From building different income streams to engaging with your audience, successful blogger Darren Rouse shares all of his secrets. You may know Chalene Johnson from her workout empire, but what you may not realize is that she is an absolute expert marketer. Learn her tips to grow and monetize your online business. Hopefully you found some new podcasts to subscribe to and add to your rotation! If you have any great podcast suggestions, leave them in the comments. I’d love to check them out! 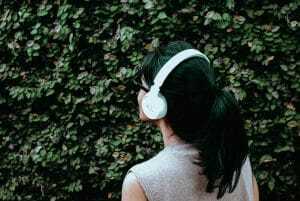 Want to remember this 30 Podcasts for Growing Your Online Business article? Save it to your favorite Pinterest board!